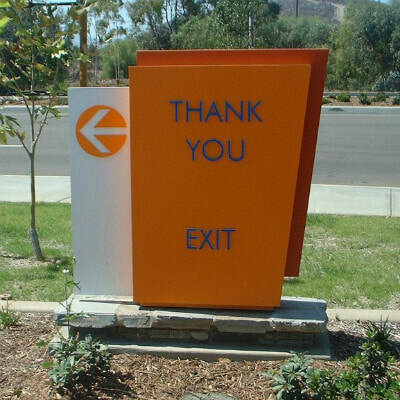 Outdoor shopping center signs need to work harder than other signage. They must inform and attract customers. They must showcase tenants and stand out from the competition. They may even need to produce revenue. 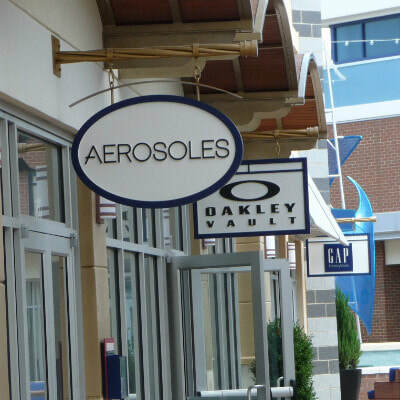 When you need signage for your new or existing shopping center, turn to Ad Vice Studios, the retail signage experts. 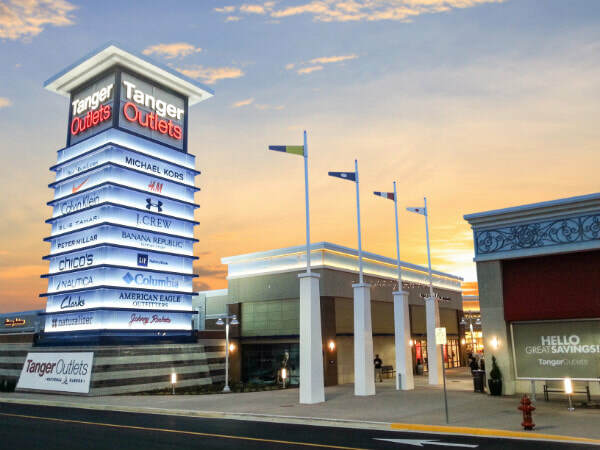 Our shopping center signs are designed to attract customers, retain tenants, reduce maintenance and increase ancillary revenue. That’s what we call Signs that Sell. For over 20 years, Ad Vice Studios has specialized in developing signage for shopping centers and malls across the United States. 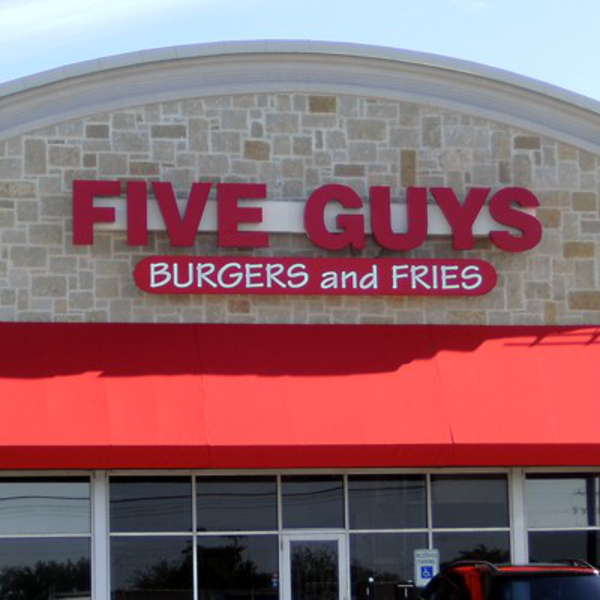 "We were extremely satisfied with the concept and design of the sign. The relationship and communication were excellent. We provided another project knowing the final result would meet or exceed our expectations." 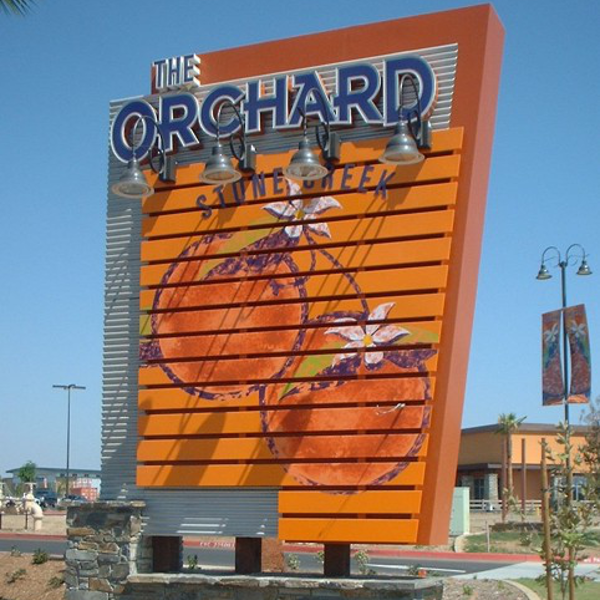 We place serious emphasis on eye-catching, fresh design and build our signs from quality, long-lasting materials. 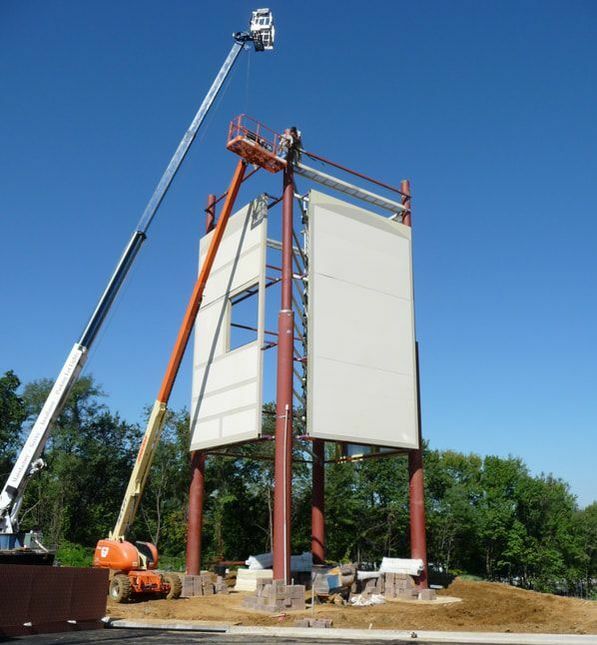 Recognized with industry awards for our original works of advertising art, our signs can increase traffic and ROI. 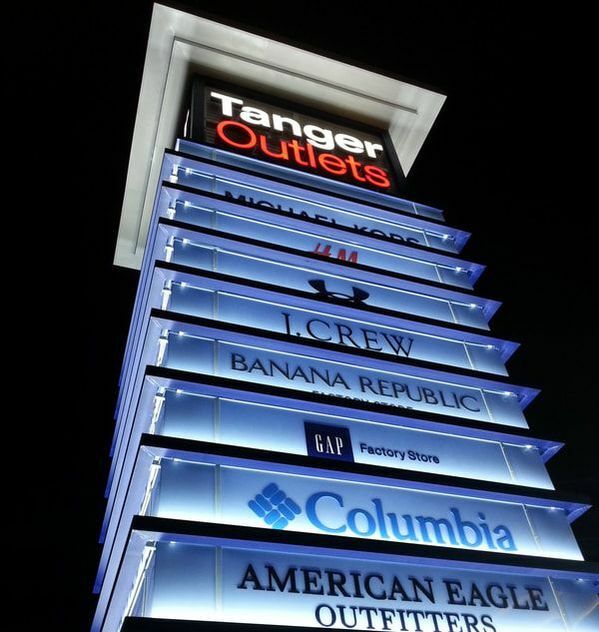 From the first phone call to the zoning board to flipping the switch that lights up your sign, we are a single-source provider with a nationwide team to handle the entire signage process. The result: consistency, efficiency, and cost-effectiveness. One property or 500, no matter your location, we’ve got you covered. Our national network of installers are chosen to adhere to our high standards and to reduce the expenses associated with equipment and transportation. 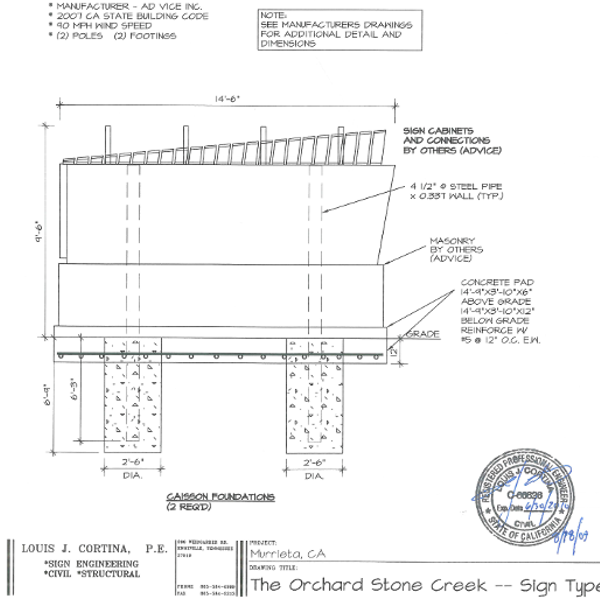 We know how to deal with localities to gain signage permits and approvals. We interpret codes and restrictions, ask the right questions, submit engineer drawings, and secure the paperwork required to get your job done. Request a free, no obligation 15-minute consultation with an Ad Vice Studios consultant. 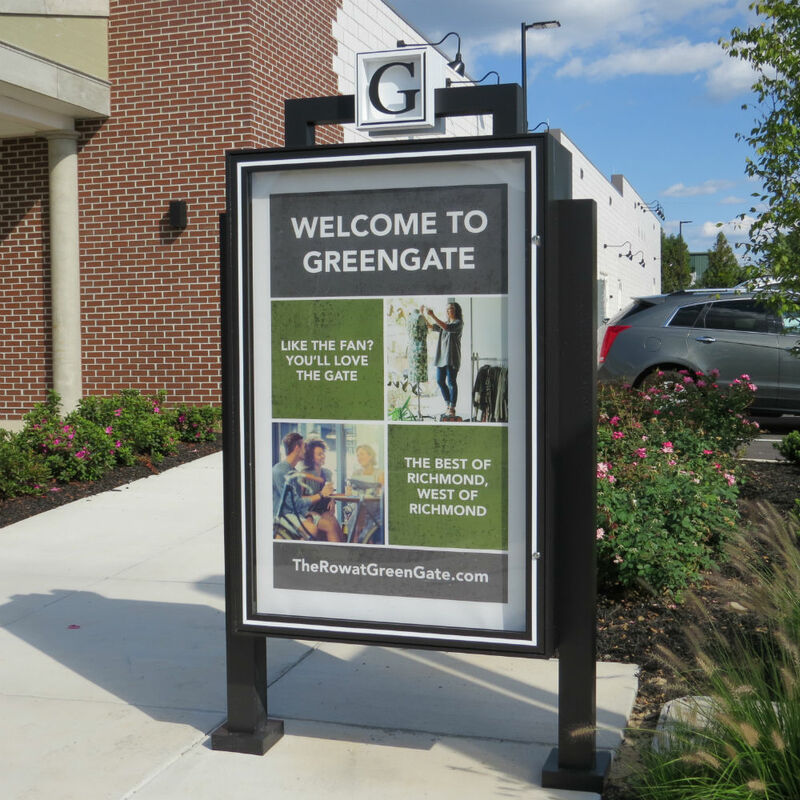 We'll answer all of your questions about creating custom signs for your shopping center. 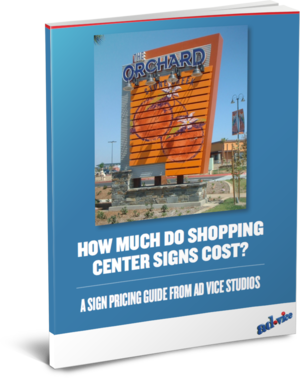 How much do shopping center signs cost? 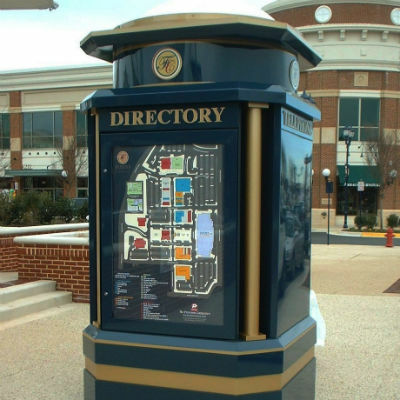 Ad Vice Studios designs, builds and installs custom shopping center signs. Their cost will be determined by their size, materials and special features such as built-in digital displays and LED lighting. Our innovative sign making business model means that, in most cases, we can beat the price of your local provider. 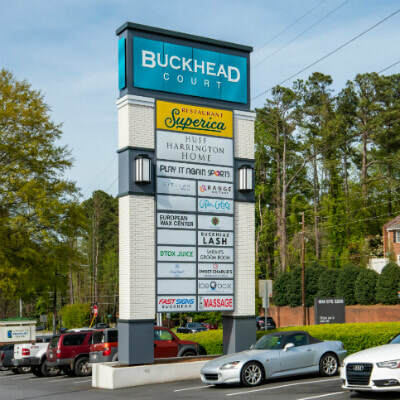 ​We recommend that you download our free Shopping Center Sign Pricing Guide to learn more about the factors that determine pricing as well as alternative materials that may save you money.